Project: Merge is a Windows? application for comparing and merging XML files. Comparing two or three XML files allows you to see what's changed, while merging allows you to integrate the differences from the input files into a single output file. Because Project: Merge understands the structure of XML data, it can compare and merge XML files far more accurately and efficiently than traditional text-based merge applications. Project: Merge is a Windows? 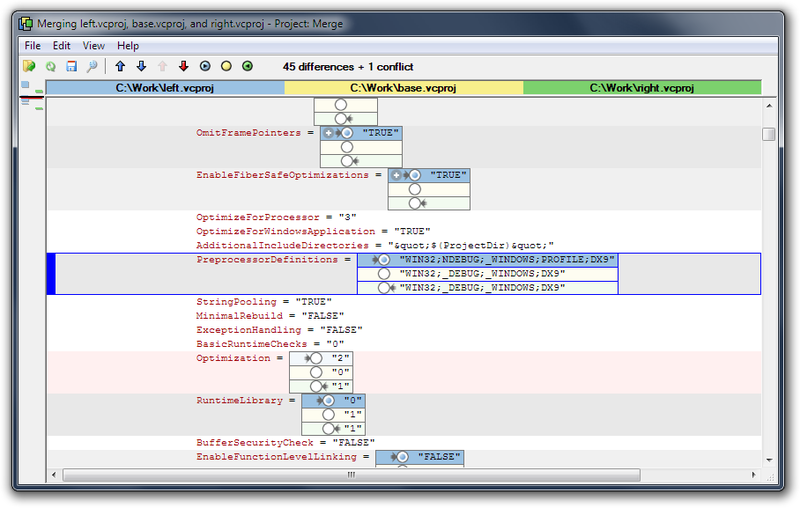 application for comparing and merging XML files. ...... the other two input files. Unlike many other comparison and merge applications that claim to support XML, Project: Merge treats XML files as XML, and not as text. Because of this small but important distinction, Project: Merge is capable of comparing and merging XML files far more accurately and efficiently than traditional merge applications that just compare on a line by line basis. The result is more accurate comparisons, and error-free merges. Project: Merge also integrates into third party software through its comprehensive set of command line parameters. In fact, Project: Merge was primarily designed to complement the branch and merge facilities found in modern version control software suites. Additionally Project: Merge can also be fully automated to run three way merges silently through any scripting language that can spawn other processes. Organize your writing projects, from manuscripts, to characters. Qweas is providing links to Project: Merge 1.0.1167 as a courtesy, and makes no representations regarding Project: Merge or any other applications or any information related thereto. Any questions, complaints or claims regarding this application Project: Merge 1.0.1167 must be directed to the appropriate software vendor. You may click the publisher link of Project: Merge on the top of this page to get more details about the vendor.